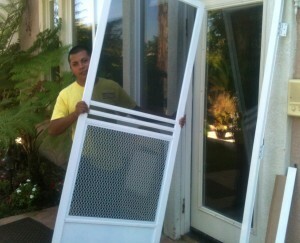 Screen Door-Window Screen Repair and Replacement: Simi Valley, Thousand Oaks, Malibu and Surrounding Areas. 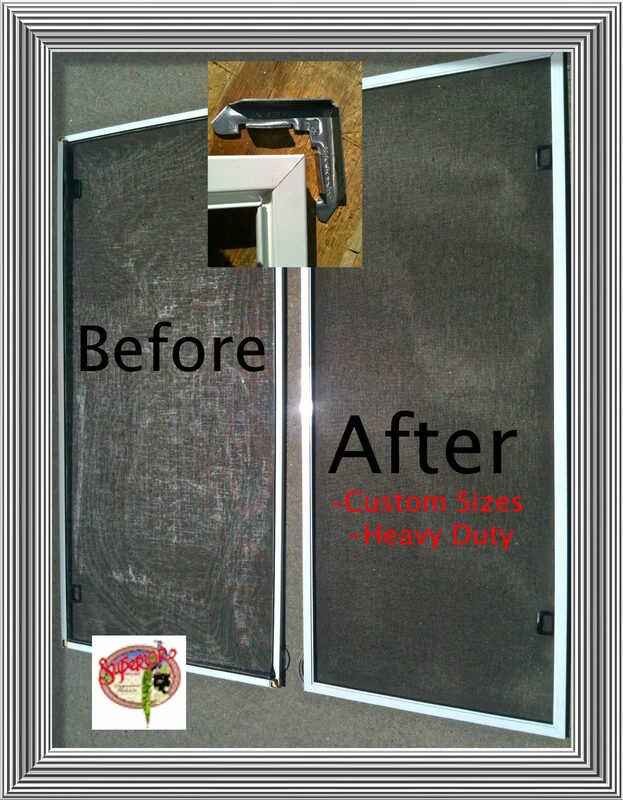 Econo Screens specializes in screen door and window screen repair and replacement, re-screening, pet resistant screen, pet doors and dog guards. 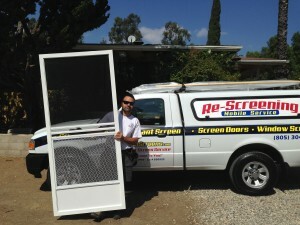 Our complete and fully stocked mobile screen service comes to you! We cover Simi Valley, Thousand Oaks, Malibu and nearby cities. 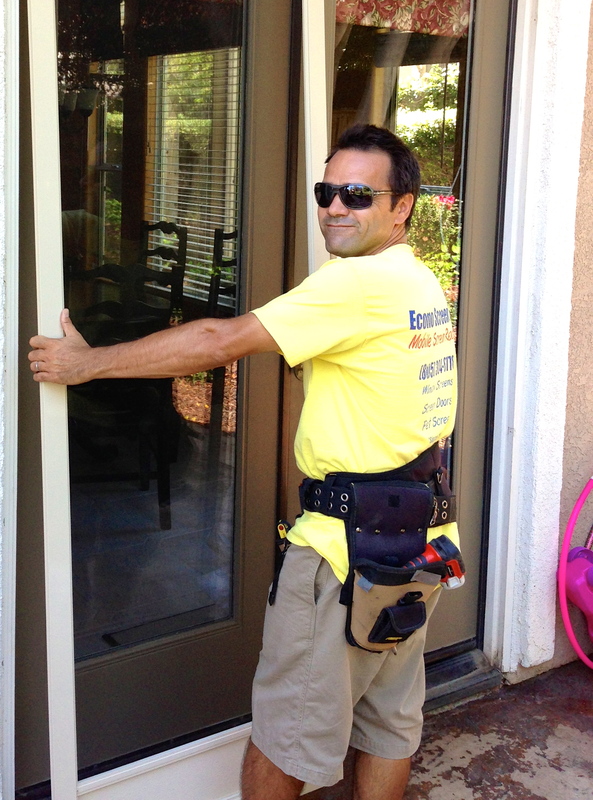 We are licensed and bonded and proudly family owned and operated “Since 1993” We repair and replace screens of all types, shapes and sizes. Standard and custom work is our specialty. 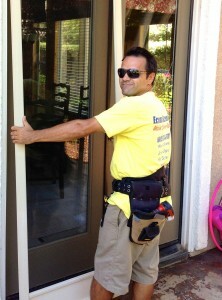 We are fast, efficient and professional. Call us for a free estimate to get your screen repair started today! 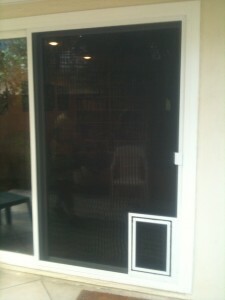 Pet Resistant Screen Mesh is 7 times stronger than ordinary screen material and can withstand dogs and cats clawing, pushing and jumping on it. If you have kids or lots of traffic going in and out, this is a perfect solution. It does cost more than regular mesh but is well worth it. We are the only company that guarantees it from tears or rips for 2 years in writing! 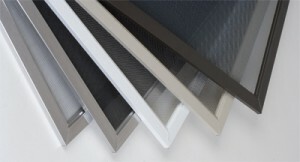 if the mesh happens to get pushed out of the frame we will come back and tuck it back in as well. 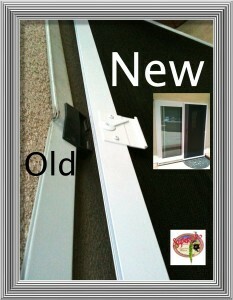 If you are tired of rescreening your sliding screen door, it’s time for pet screen! 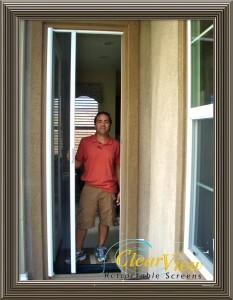 Clear View Screen is a tighter more perfected thin screen weave that lets you see through it much easier than the standard screen mesh. 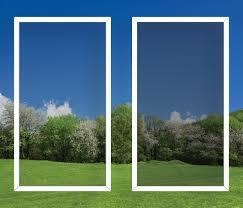 Its the best choice for views that you just want to keep clear, and the difference is truly visible! 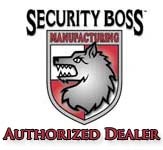 There are not many screen shops out there that do screen repair anymore and even if you find one, there is never a full time experienced screen repair employee that knows how to properly fix your screens. 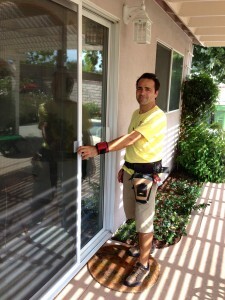 Not making window screens or screen doors properly will give you fitting problems and premature screen mesh loosening. 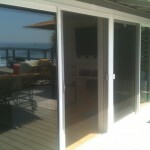 Transport is also a big problem that customers have when wanting to get their sliding screen door repaired. Do you have window screens that are missing? Do have bent, broken or just have holes in them? 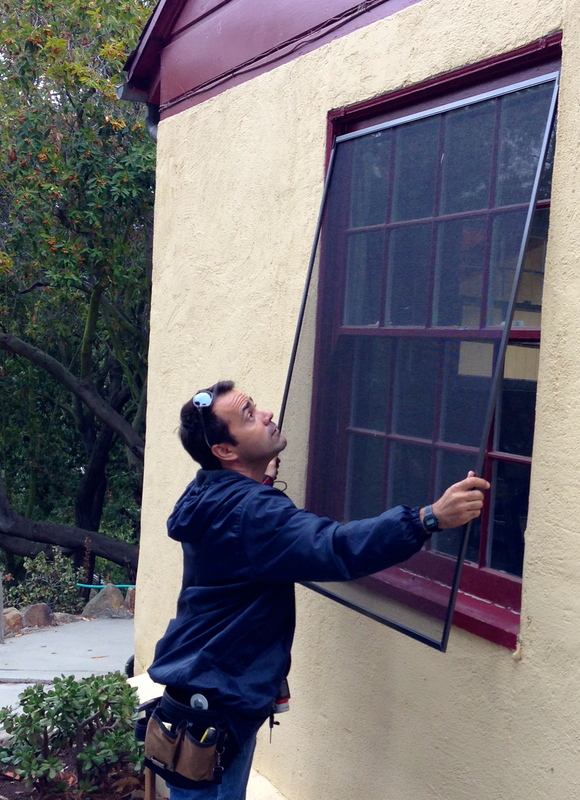 Are you having problems with poor fitting window screens, frames that are bent? Have plastic corners that are cracked and falling apart? Do you have holes, tears, rips,or just old faded screen mesh? 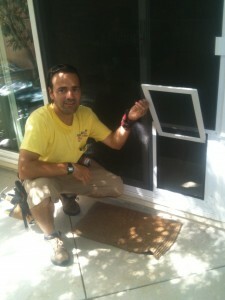 Fixing screens may look like a simple job but if they are not screened or measured right they can be a problem and insects and mosquitos will come in through gaps. 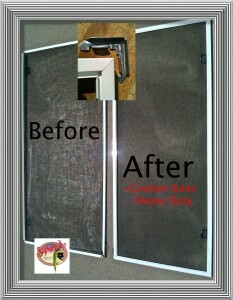 If you want them to fit right you need a service that specializes only in screens. 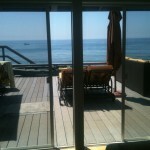 We are very familiar with everything mentioned and our whole service is based on and set up for it. Would you like your pets to be able to go in and out of the sliding screen door whenever they want? 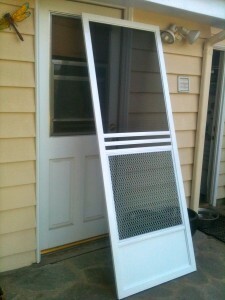 Our pet doors for screens are installed at the bottom corner of the screen door and are a safe and a easy way for your pets of all sizes go as they please. 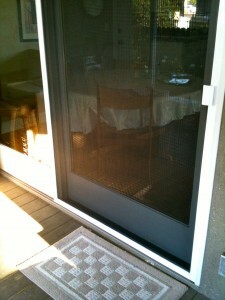 The pet doors we install are top of the line quality and guaranteed to last! 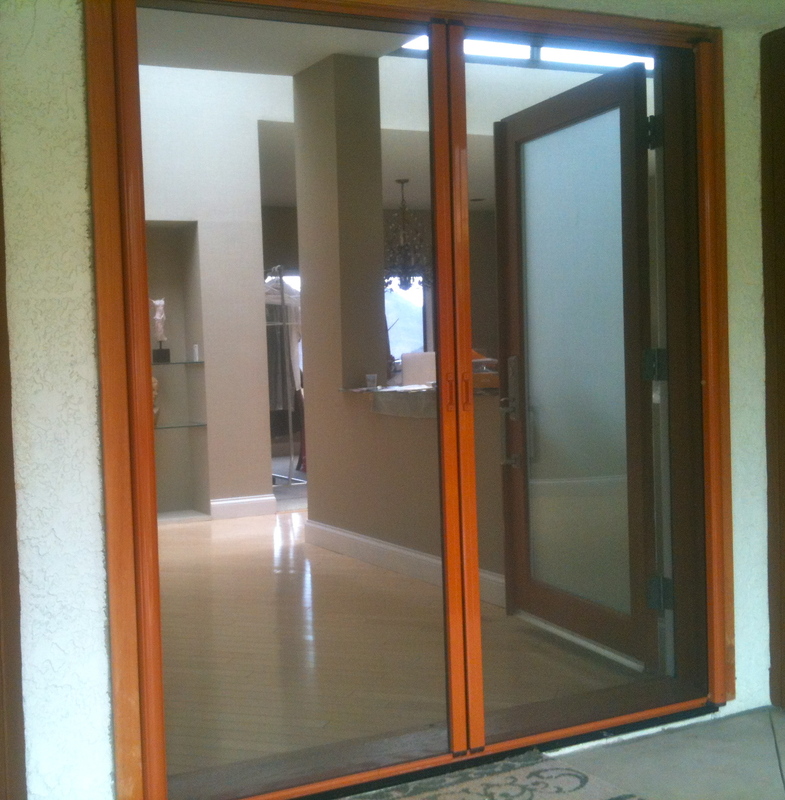 They come in small, medium, large and extra-large and can be installed on existing screen doors or new ones. Are you having problems with you pets tearing your screens? 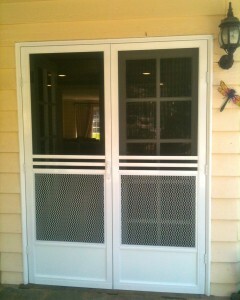 We can help with our heavy duty dog guards that we install on the lower half of sliding screen doors. 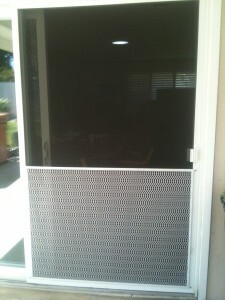 They are installed on the outside of the patio screen and protect the mesh 33″ up. 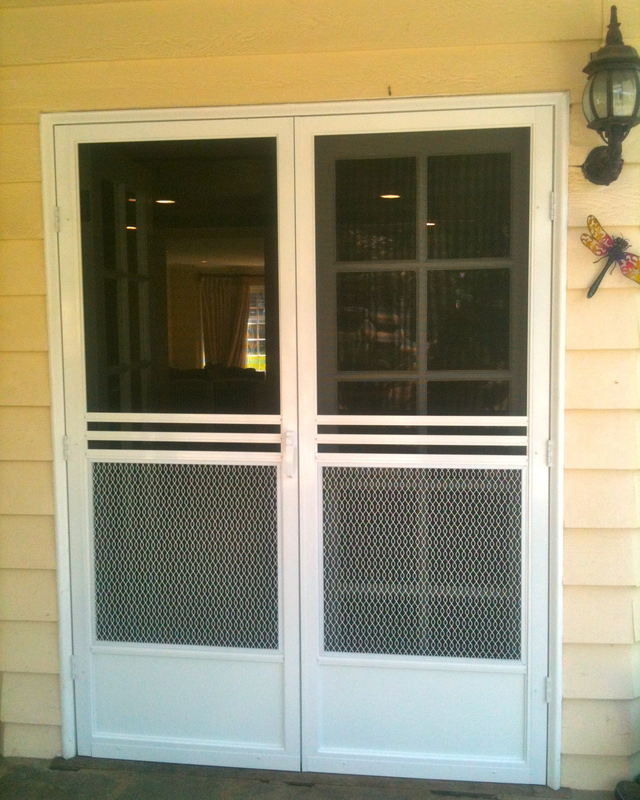 We custom make our heavy duty screen doors at a very competitive price. 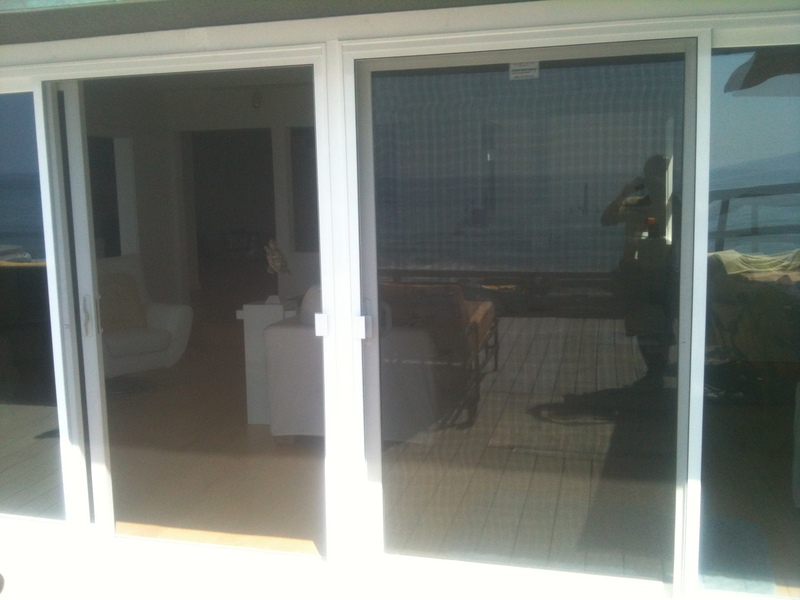 Quality is number one to us and thats why we offer a 10 year guarantee on all our swinging screen doors. They are extruded aluminum and won’t go of square with their sturdy construction. 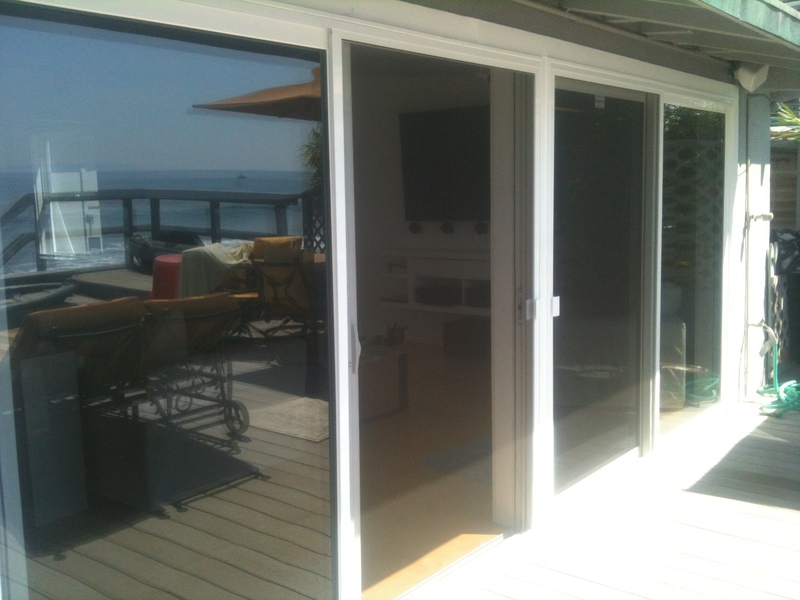 Our swinging screen doors are incredibly strong and durable! Are solid as a rock! 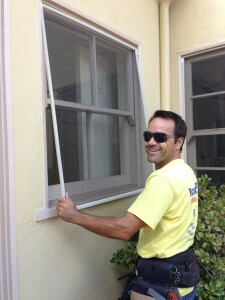 When you call us you get professional friendly service that has been working the mobile screen service business for almost 20 years. 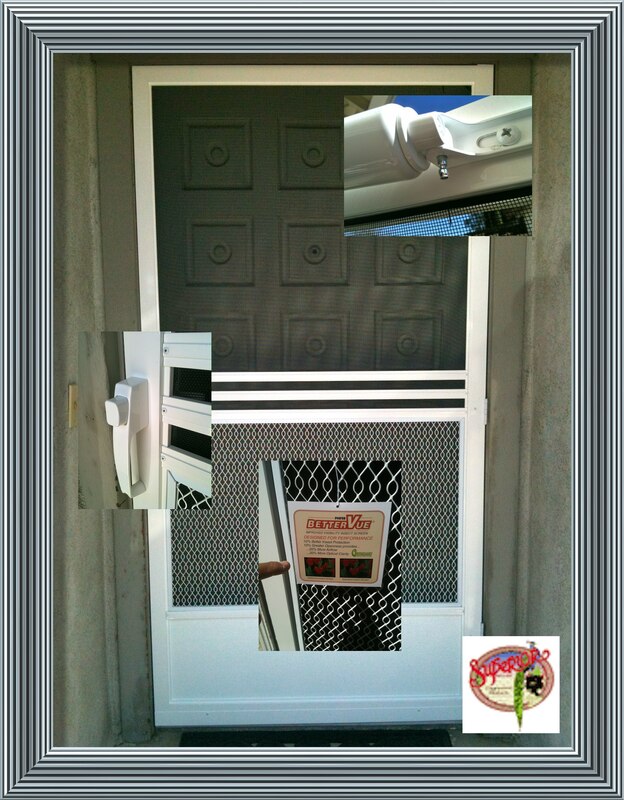 FREE written estimates, great prices and long lasting quality material measured and made right to fit and work the way it should. 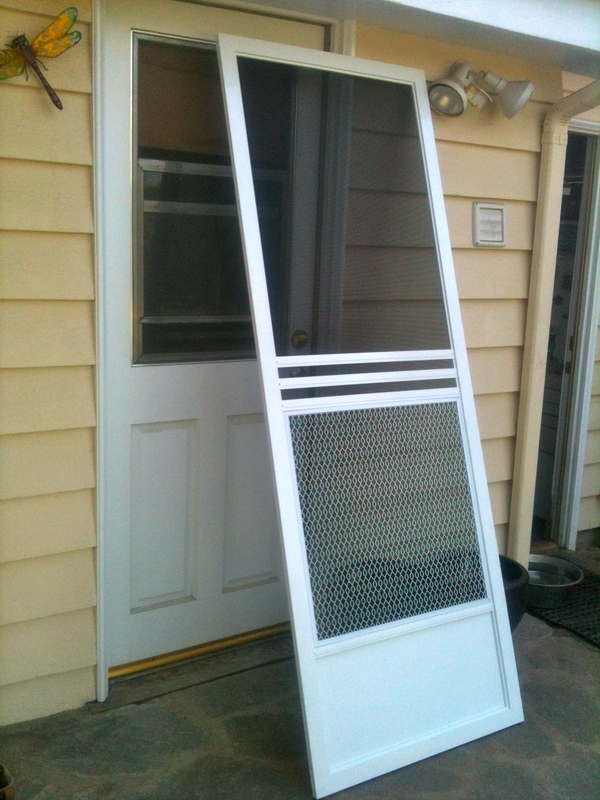 A guarantee that everything we work on, screen doors or window screens will be done right and backed by Econo Screens for as long as you have it! In Simi Valley, Thousand Oaks surrounding areas? No Problem!